Some soldiers die in wars bearing numerals, others in conflicts named for the places where they fought, like Vietnam and the Persian Gulf. 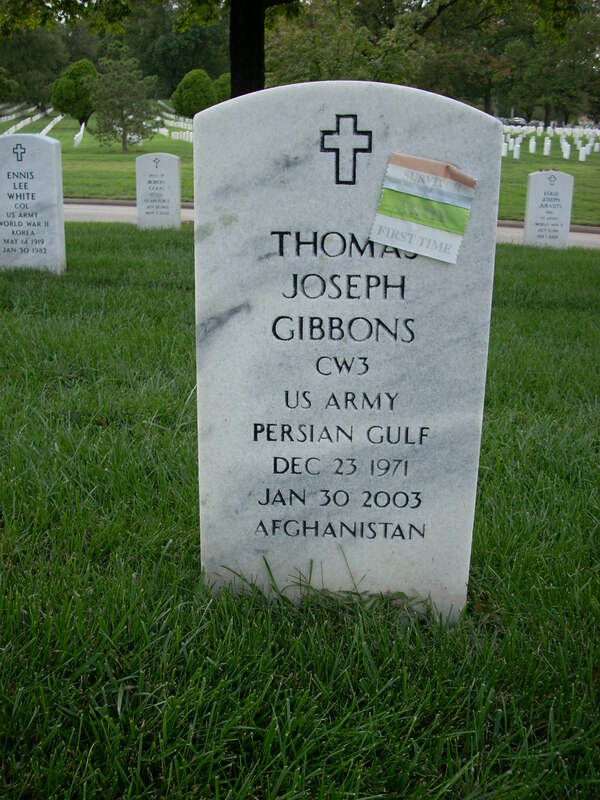 Chief Warrant Officer Thomas J. Gibbons gave his life in a conflict too far-flung to be defined by any one place and not, as yet, so massively destructive as to earn a number. But the war on terrorism will always be linked with a date. Gibbons, with the Army's 160th Special Operations Aviation Regiment, told his wife, Kelly, that if his daughters -- Lauren, 3, and Emily, born in November -- ever asked why he had gone to Afghanistan, they needed to understand what happened on September 11, 2001. 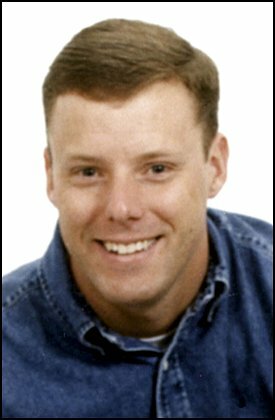 Gibbons, of Huntingtown in Calvert County, died January 30, 2003, with three other soldiers when the MH-60L Black Hawk helicopter he was co-piloting reportedly crashed during a training mission near Bagram Air Base in Afghanistan. He was 31. He was buried yesterday at Arlington National Cemetery, the final resting place for heroes. Gibbons joined not only the 285,000 interred there, but also the "million, 100,000 men who died since the Civil War," said the Rev. Lawrence J. Mullaney, the Catholic priest who officiated at Gibbons's funeral Mass. Growing up in Calvert County, Gibbons was a guitar-playing free spirit, but one also imbued with a sense of duty that compelled him to join the ROTC in high school. "The exemplary cadet," said his father, Michael Gibbons Sr., who served with the Air National Guard. "He found a way to challenge himself and find out what his mettle was." He also dreamed of flying. Two months after high school, he enlisted. He wanted to become a Marine but thought it would be more difficult to become a pilot in the corps. So he joined the Army, becoming a member of the 101st Airborne Division. Then came Desert Storm and his first brush with war. "When he left for Desert Storm 12 years ago, he said, 'If we don't come home the way we want me to come home, do what we can to get me in Arlington,' " his father recalled. Before his son left, Michael Gibbons tore a dollar bill and gave half to him. "Keep this with you. And when you bring it back, bring it back to me safely." His son did exactly that, returning his half of the dollar bill to his father in Calvert County after a safe tour during the Gulf War. But soon the military was actively reducing its ranks, and Gibbons left the Army. He lived with his mother in Edgewater and turned to the electrical trade. But he quickly found that he was no longer meant for civilian life. It wasn't because of any war trauma or feeling unable to fit in: He just knew where he fit in best. "He missed what he did in the service and the opportunity to challenge himself," his father said. So after a year or so, he reenlisted and eventually went to Ranger school. He survived the training, but it was not enough for him. "Rangers can't fly," his father said. He worked his way into flight school. In 1997, he got his wings. "Proudest day of his life," his father said. "He had finally arrived." Soon, Thomas Gibbons had more to be proud of. At Fort Campbell in Kentucky, where he was stationed, he met his future wife who would become the mother of his two children. In December, Gibbons took his growing family to Huntingtown. He talked with his father about going off to war again. He couldn't say where or exactly when, only that it would be soon. He asked his father for the same torn half of the dollar bill. As he carried the two torn halves -- his son's half laminated to withstand wear and tear -- Michael Gibbons "had the darnedest feeling," he recalled. "No, you don't want to do this again," the father told himself. He dismissed the feeling: "Ah, that's just jitters." "I said, 'All right, boy, same drill. I expect your half back,' " Michael Gibbons recalled. " 'And we again will be one,' " his father told him. "He stuck it in his wallet. He hugged me and thanked me. And he left." On Jan. 30, Michael Gibbons received a call from his daughter-in-law, and shortly thereafter a visit from three Army officers, confirming that his intuition was right. Days later, six other Americans were killed -- in the space shuttle Columbia disaster -- shifting attention from the deaths of the four soldiers in Afghanistan. "It just gathered all the national attention," Gibbons said. "The four who went down in the helicopter in Afghanistan are no less American heroes." Thomas Gibbons got his hero's send-off yesterday with full military honors -- replete with the U.S. Army Band playing taps -- and the burial location he had requested years ago. U.S. flags were presented to his family members at the service. On Wednesday, Gibbons's father partook in a more private ritual. He drove up from Huntington to Arlington and asked the funeral director if he could open the coffin and spend some time with his son. Then once again, the father took out the torn dollar bill that he had given to his son in 1991. "I opened up his blazer and put it in his shirt pocket," he said. Then, he took the other half home with him, saving it for another undertaker at another time. "When my day comes," the father said, "I'll put it in my shirt pocket. We'll meet together, and we'll be one again." Tommy Gibbons grew up in Calvert County, Maryland, and that was where his father got the cell phone call last week. His son's wife was on the line from Fort Campbell, Kentucky, talking about a helicopter crash in Afghanistan. Tommy Gibbons -- U.S. Army Chief Warrant Officer Thomas J. Gibbons -- had been on board. Michael Gibbons was in the driveway of his youngest son's girlfriend when he learned that his middle son had died. "You just kind of go nuts and fall apart in front of people you don't know," said Gibbons, president of his own financial services company. Tommy Gibbons, 31, grew up in Huntingtown and attended Calvert County public schools before enlisting in the Army in the late 1980s. He served in the Gulf War before leaving the Army in 1991. But civilian life bored him, and there was something he still wanted to do. "He was just always enthralled about flying helicopters," Michael Gibbons said. And Tommy had been fond of the military life. So he signed up again. This time, the Army taught him to fly helicopters. 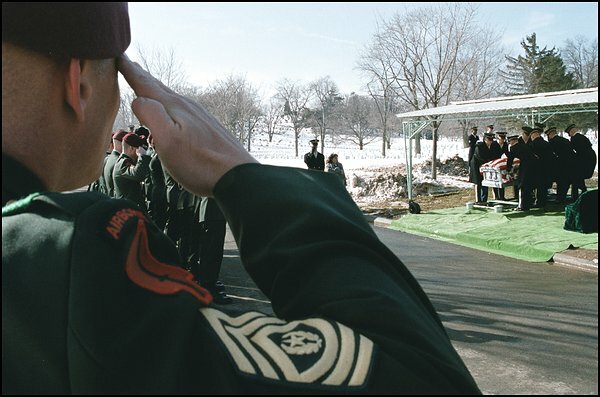 Gibbons was one of four soldiers of the 160th Special Operations Aviation Regiment, known as the Night Stalkers, killed in a Black Hawk helicopter crash January 30, 2003, on the way back from a training exercise near Bagram air base in Afghanistan, officials said. Gibbons had been stationed at Fort Campbell, where he lived with his wife, Kelly, and daughters, Lauren, 3, and Emily, who was born there November 18. His parents moved to Calvert County when Tommy was 4 years old. At Calvert High School, he played on the tennis team, his father said. He also liked to play the guitar and took a small acoustic with him -- a gift from his father -- on his latest assignment. Gibbons, who visited Calvert over Christmas, often talked with his father about the risks of his profession. When he went overseas for the Gulf War in 1991, his father tore a dollar bill in half, keeping one half and giving the other to his son. "I said: 'Tommy, hold on to your half and I'll hold on to mine,' " Gibbons said. " 'And when you come back, we'll be . . . whole again.' "
The father said that when his son was deployed to Afghanistan, he took the same half of the same dollar bill with him. 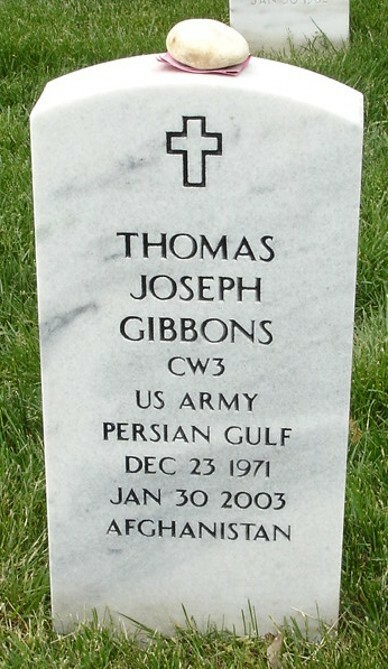 Tommy Gibbons will be buried February 20 at Arlington National Cemetery, Michael Gibbons said. A memorial service is scheduled for tomorrow morning in Kentucky. In addition to his wife, daughters and father, Gibbons is survived by his mother, stepmother, two brothers and a stepbrother. Chief Warrant Officer Thomas J. Gibbons, 31, who grew up in Huntingtown and played on the Calvert High School tennis team, was one of four American soldiers killed in the crash of an Army Black Hawk helicopter in Afghanistan on Jan. 30. Gibbons had made a Christmas visit to Calvert, where several family members still live. Gibbons, who left a wife and two young daughters, will be buried Feb. 20 at Arlington National Cemetery.